Flowers cannot just stand up by themselves. 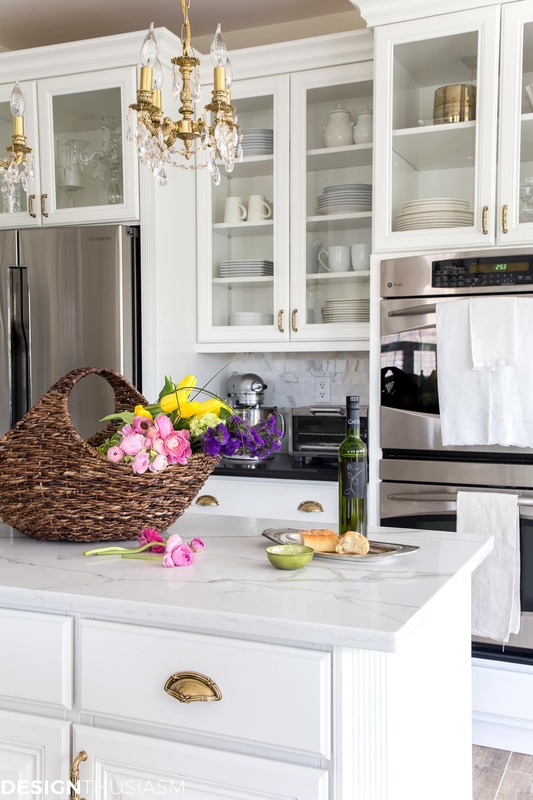 While spring flowers are a great way to welcome the season into your home, they are dependent on containers and vessels to present them properly. The prettier those containers are, the better. 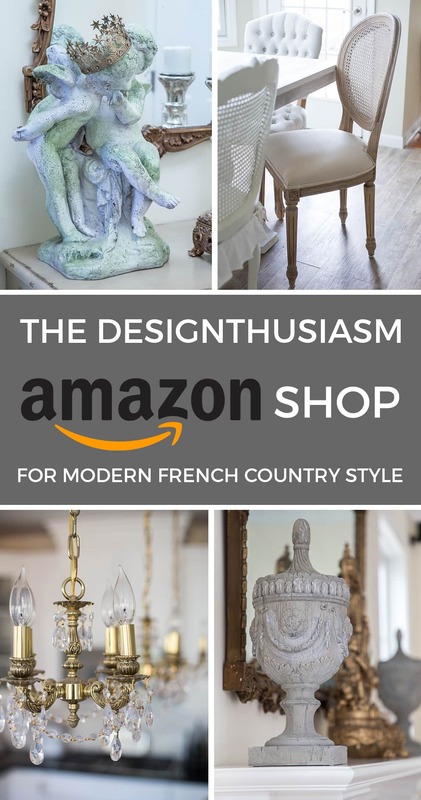 The right decor items can not only add spring flavor to your rooms, but they can also bring with them the lovely charm associated with farmhouse living. You may live in a high rise apartment building in the middle of Manhattan, but your home can still adopt the character of the lifestyle you prefer to surround yourself with. For me that’s a mix of rustic with elegance and today I’d like to share 5 spring vignette ideas to update the various rooms in your home. 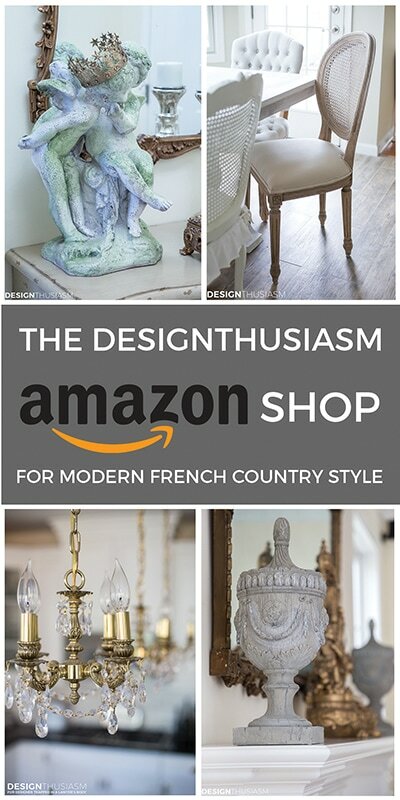 The products featured here were provided by my sponsor, Arhaus, a company revered for its unique, high quality, well designed home furnishings. The items are not only beautiful and well made, but also practical and useful. Their global outlook yields decor that can blend with many design styles, including the charm of farmhouse highlighted here. *This post contains some affiliate links for your convenience. Click here to read my full disclosure policy. 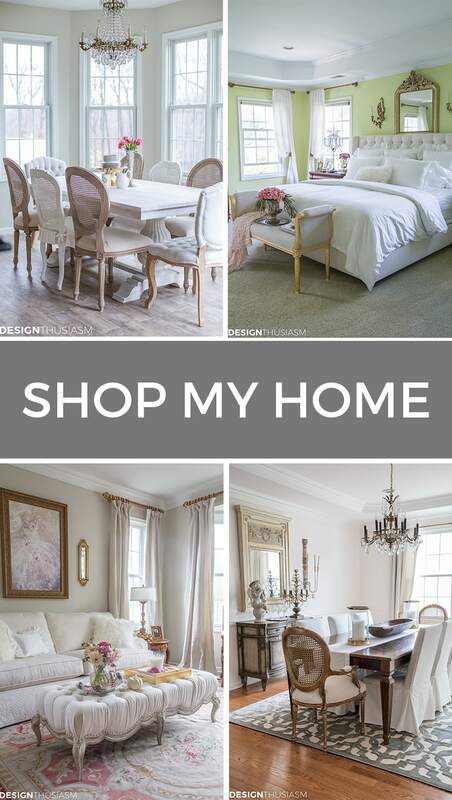 While sponsored by Arhaus, as always, all opinions and ideas are my own. 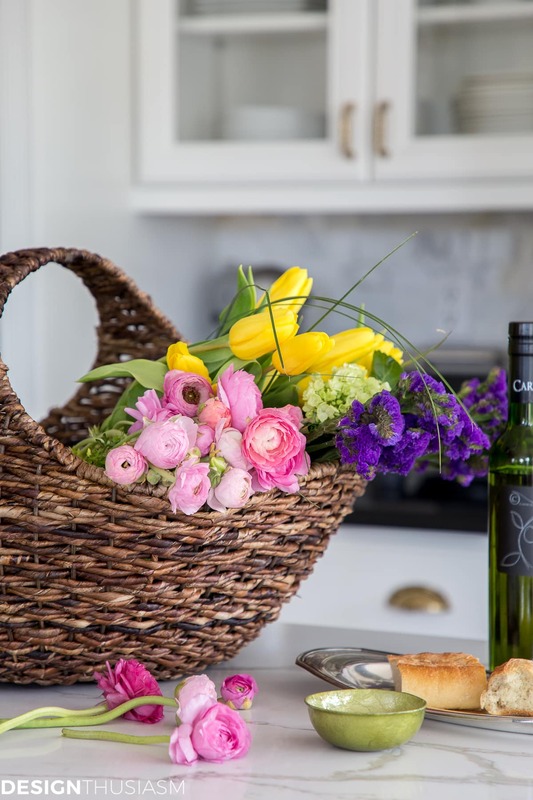 Nothing says spring quite like a gathering basket filled with flowers! It conjures up thoughts of tromping through fields picking flowers to bring back to the house. But many of us have a closet piled high with misshapen old baskets that were kept after receiving a gift assortment. Try adding one or two new handwoven wicker baskets to your collection this year for a fresher look for spring. Then fill it with your favorite spring flowers with the stems resting in a shallow bowl of water at the bottom of the basket. Pillows and throws are not just for winter. In fact early spring is precisely the time when I’m looking to steal a few moments outside, long before the chill in the air is gone. 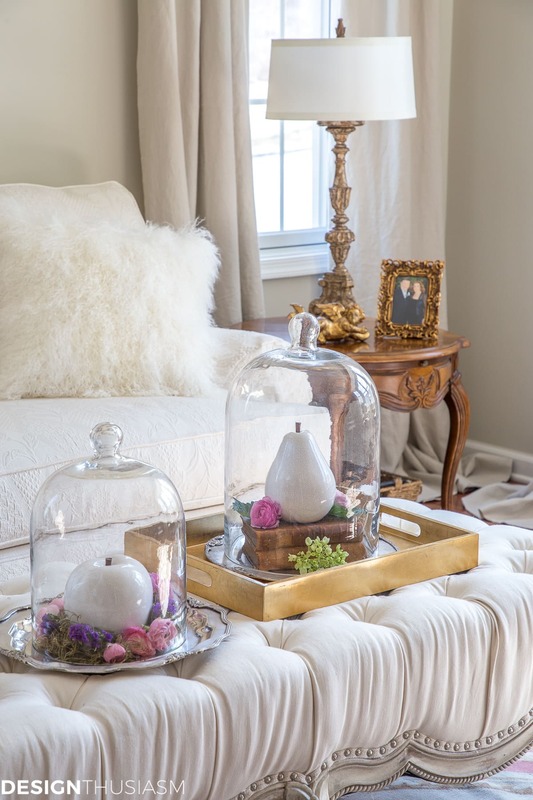 This is the perfect time to pack away the faux fur blankets and sweater knit pillows and replace with options in lighter fabrics and textures. 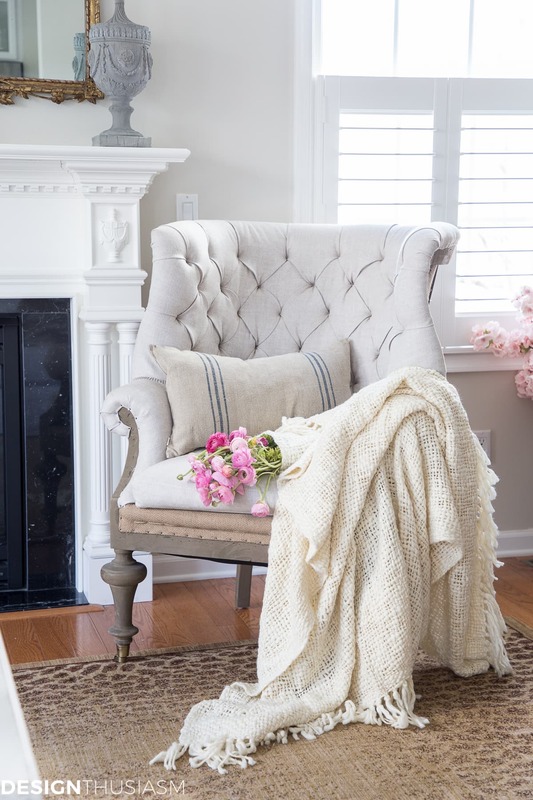 Homespun wovens like grain sack and linen will impart that lovely French farmhouse feel and a nubby casual basketweave knit is perfect for a spring throw. Anything that reminds us of nature awakening outside our windows is ideal to use in our spring decor. Twigs and branches fall into this category and are often used creatively in home decor designs. As an alternative to using only rustic woodsy bits of nature, consider some of the newer pieces created in modern metals. 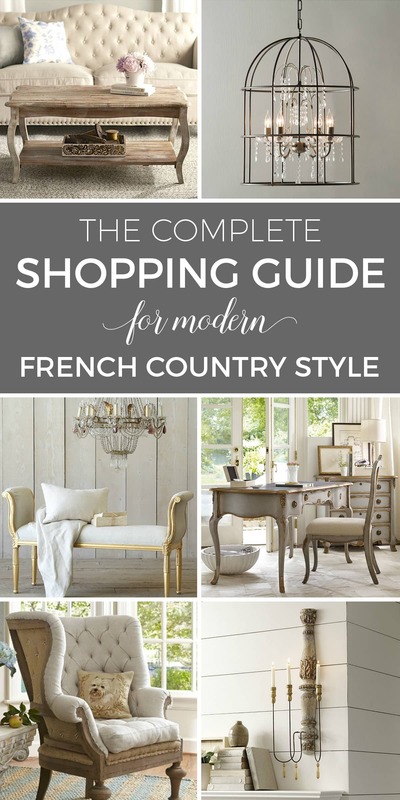 A vintage brass finish maintains the country farmhouse theme. 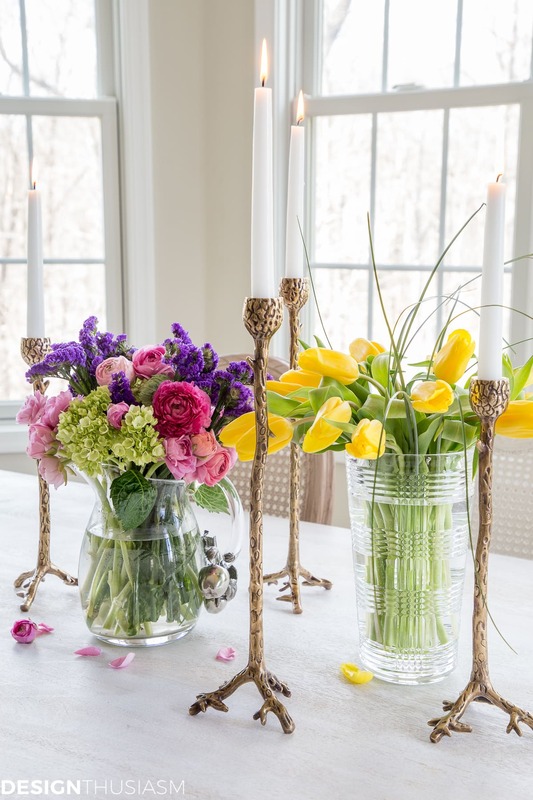 Incorporate a grouping of taper twig candlesticks on a dining table to accent a centerpiece comprised of spring florals. 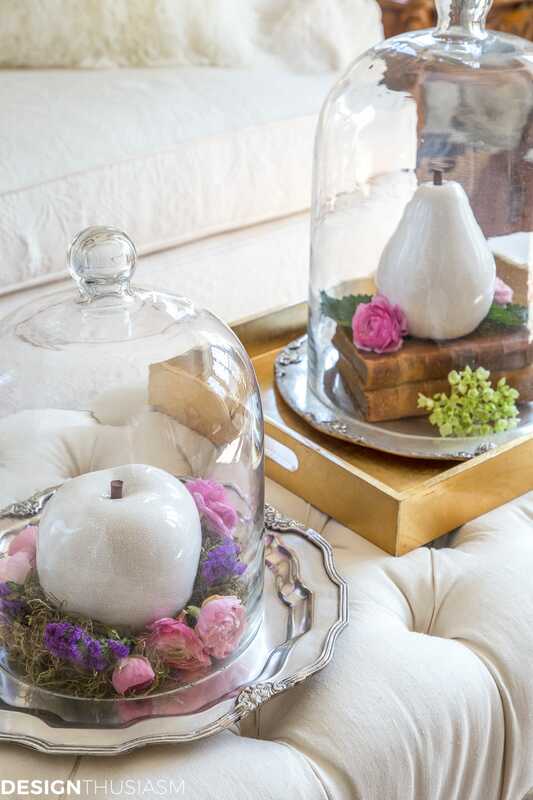 A wonderful way to accentuate a pretty vignette or coffee table arrangement is by creating a unique display under a glass dome. It helps corral the individual elements and enhances them to make a bolder statement. Even better to use two in varying heights and use books as risers for the presentation inside. Ceramic fruits are fun for spring and you can use trays or chargers as a foundation underneath. 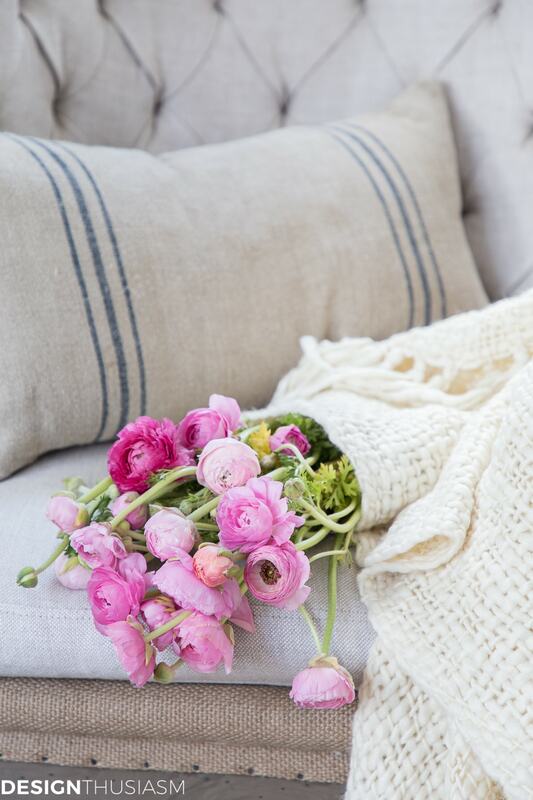 Toss in a few blooms for an extra nod to spring. Think beyond decorating only table or counter tops. 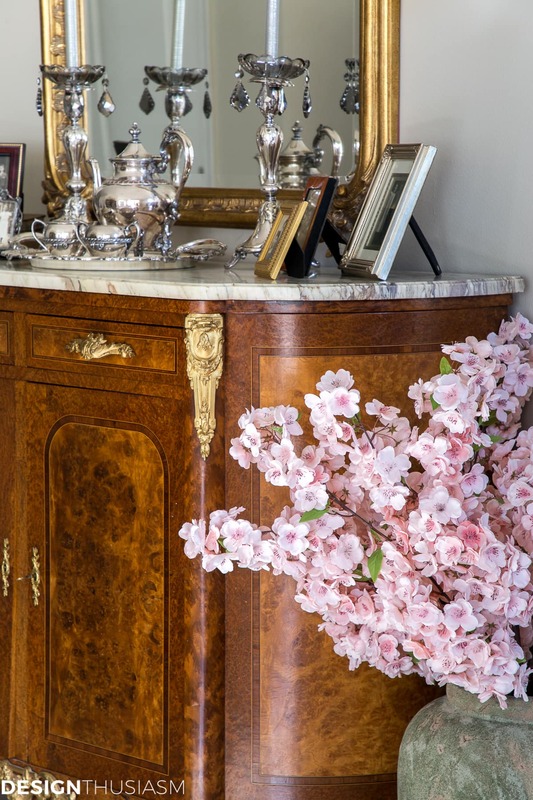 A fabulous rustic urn full of billowing cherry blossoms makes a grand gesture sitting confidently on the floor. Place it next to an elegant piece of furniture for an interesting contrast or showcase it alone to dress up a naked corner. It would also do well in front of the fireplace, which won’t be in use for the next few months. The more patina on the urn, the more I love it, as it adds more depth of character in a French farmhouse way. 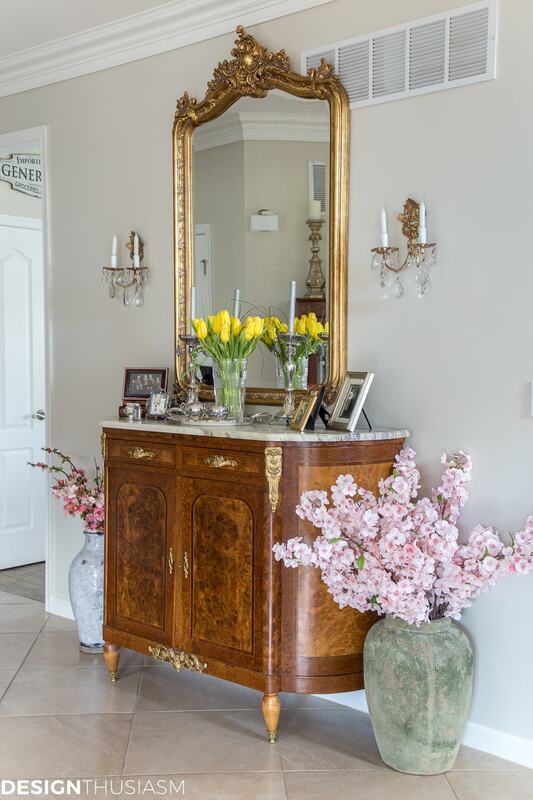 The fastest way to invite spring into your home is by decorating with your favorite spring flowers. But long after the flowers have faded, the vessels that hold them will be ready for a new crop. 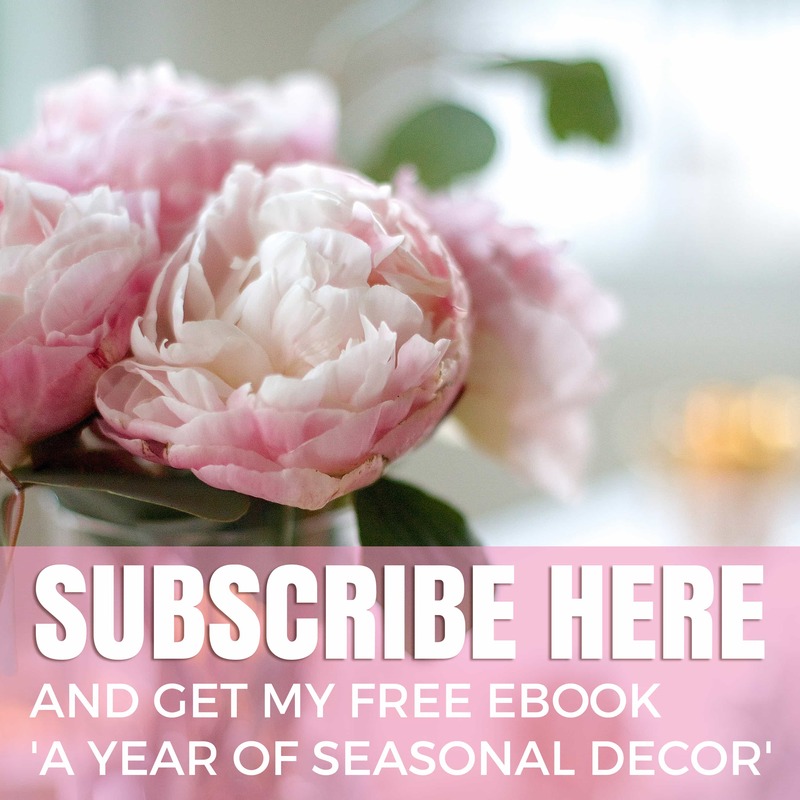 And since those blooms won’t be standing up on their own, a selection of pretty farmhouse decor will add charm to your home while updating it for the season. 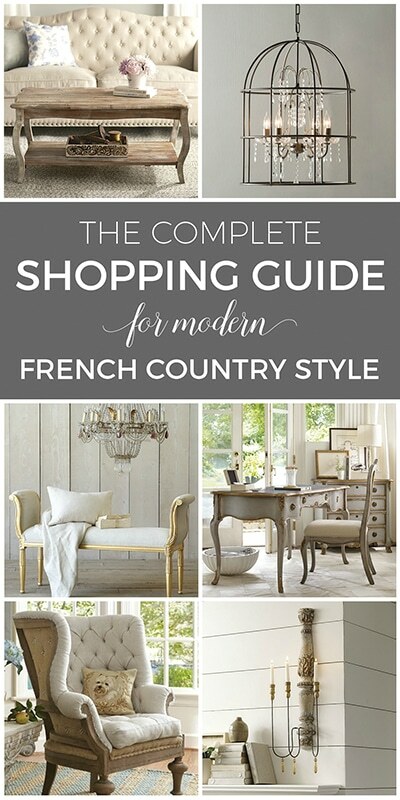 With the right pieces, the opportunity for fresh spring decor ideas can be limitless! 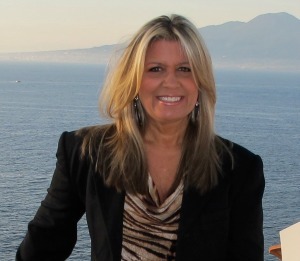 To get the look, click on the items below for direct links to the products. Where actual items were no longer available, I’ve provided similar options. I love your items, especially the use of flowers. I prefer faux because my budget doesn’t allow fresh. 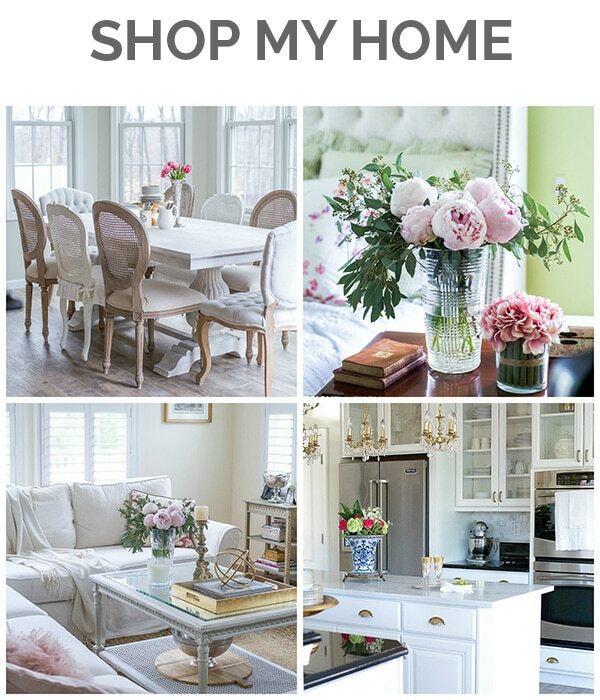 Such a pretty blog.